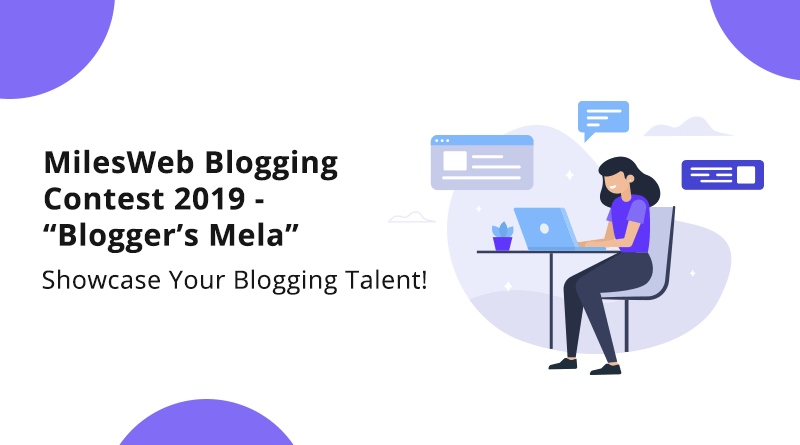 MilesWeb Blogging Contest 2019 “Blogger’s Mela” – Showcase Your Blogging Talent! Please Note: This Blogging Contest Has Closed On- 16th Feb 2019. Wish you all a very Happy New Year! You might have some exciting plans for this year. Of course, everyone has them. Even MilesWeb is planning something for you bloggers. So, get ready to exhibit your talent to the world with MilesWeb contest. Eager to find what’s it? MilesWeb is running an amazing contest for all the bloggers. Book your tickets now and wait for some special goodies coming your way! So, being a blogger, writing is what you are passionate about. MilesWeb is giving you the chance to display your writing skills to the world. Programming languages – PHP, Java, Python, Ruby, etc. 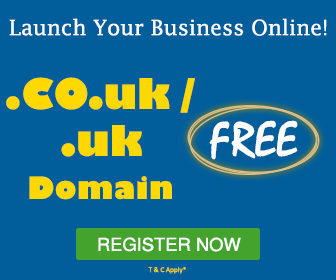 How To Get a Free Domain For Lifetime with MilesWeb? You can also write the article on any other topic but make sure it’s related to MilesWeb. You will get the reference articles from us that will help you to write the article in proper format. 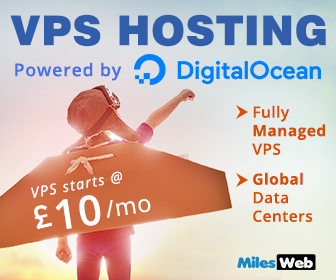 MilesWeb WordPress Hosting Review – Why Bloggers Choose This? Step#2 Give a backlink to any of our product page using the word MilesWeb. Step#3 Once you publish the article on your blog, share your article link with us on the email address [email protected]. Step#4 Share the published article on your social media platforms and tag us with @MilesWeb and use the hashtag #MilesWebBloggersMela. This will let us know that you have completed your task. That’s it! Be patient till the winners are announced. The contest entries are starting from 16th January 2019 and the last day of submitting your entries is 31st January 2019. The entry is completely free. All the bloggers who are interested in writing articles/blogs can participate in this contest. If the winner is from out of India then the equivalent amount of the price money will be given to him/her. The article should be of 700 words and above. You can increase your word count as much as you want. Make sure your article is indexed. The article should be plagiarism-free and quality content with proper formatting such as heading tags, bullet points, etc. You can post as many articles as you want but on different sites. The article shouldn’t contain grammatical errors or punctuation errors. So, make sure your article is well-written grammatically. MilesWeb team will select “Top 3 Winners” and the decision will be final. In case you have any doubts regarding the contest, you can post your queries to us via the email address given. If you ask your queries on our chat and phone, you will be disqualified. Last date for the contest entries to be submitted: 31st January, 2019. One point will be given for one like and two points will be given for one share of the article on social media. Those articles with highest number of likes and shares will be shortlisted for the winners list. Your published article’s traffic will also be one of the factors for selecting the winners. So, don’t miss to share your Google Analytics screenshot of your article, if it gets shortlisted, on the mail. Fake social media profiles will be identified and will be disqualified in case you use them for increasing your engagement. The quality of your article content will also be one of the factors while we shortlist the winners. Payment Source for Indian Participants: Payment will be done via your bank account. You will need to send your NEFT details to us on the given email address. Payment Source for Participants outside India: Payment will be done by PayPal only. MilesWeb team will announce the contest winners in the between 18th – 22nd February 2019. You can check the results on MilesWeb’s Facebook, Twitter, LinkedIn and Instagram pages and also, your emails. Please Note: Since we had extended the date of the contest, we have also extended the date of declaration of winners. We will be declaring the winners in between 1st or 2nd week of March 2019. 1. This contest is open for everyone. 2. In order to participate, you first need to share the link of this contest on all your social media platforms. 3. Like/follow MilesWeb on all the social media platforms. Facebook, Linkedin, Twitter and Instagram. 4. Simply publish an article on your blog as per the guidelines mentioned and email us the link of your article to complete the participation process. 5. Share the link of your entry on your social media platforms and tag us in your post. 6. Top 3 entries will win exciting prizes. 7. Entry into the promotion is deemed to be acceptance of all terms and conditions listed here. 8. The winners’ entries will also star on our page with a special mention. 9. The article submitted has to be of the minimum word limit mentioned and the maximum word limit can be as per your wish. 10. Participants are requested to write a unique article. Any submission found to be copied from elsewhere will be disqualified. 11. All article submissions should be free from any kind of profanity, hate script or any form of socially unacceptable content. Failing this the submission will be disqualified and reported. 12. Casual content not in keeping with the theme of the contest will be disqualified. 13. For any queries related to this contest you can email us at [email protected]. Queries asked through our website Live chat or phone number will not be entertained and will be disqualified. 14. This contest will run from 16th January 2019 to 31st January 2019. 15. Only one entry per blog will be entertained, so send in your best entry. 16. 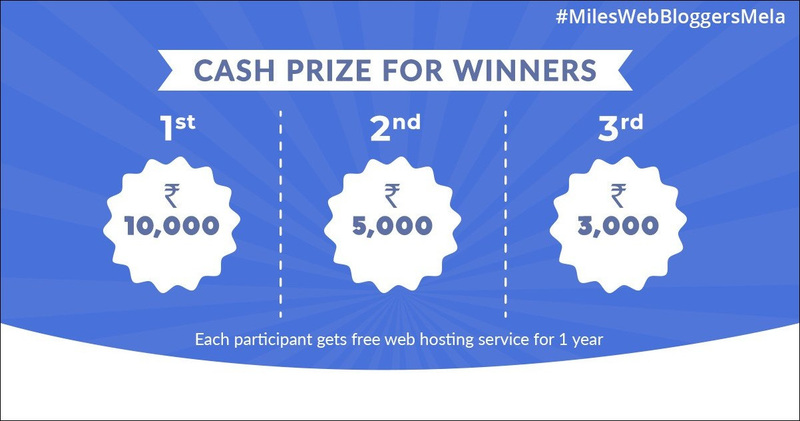 Winners will be chosen solely on the discretion of MilesWeb Internet Services Pvt Ltd. The decision will be final in all respects and no correspondence shall be entered into. 17. The prize is non-transferable and non-extendable. 18. Names of contest winners will be declared on the MilesWeb social media page itself and their profiles will be tagged to such declaration. 19. The winners will have to direct message their email address, bank account details & contact details to our email id within 10 days of contest result declaration, post which they will not be eligible to receive the cash prize. 20. Employees of the organization are not eligible to participate. 21. MilesWeb is not responsible for any incorrect, malfunctioning or undeliverable e-mail or bank account details provided by a prize-winner Providing incorrect details (name, email address, correspondence address, phone number etc) will lead to automatic disqualification. Happy blogging and good luck! We welcome all the participants and we are extremely excited about this contest!